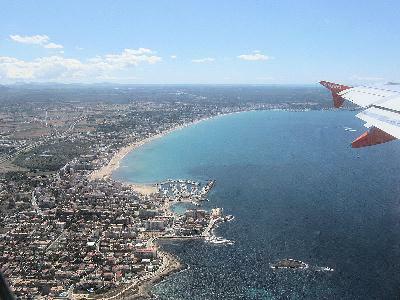 Arriving on the island will be by air flight to Palma Airport or by ferry from mainland Spain to the Passenger Terminal in Palma Harbour. It is possible to cycle from the Passenger Terminal to the hotel otherwise it is recommend to use a taxi. The airport is situated between the city and our resort, the number twenty one airport bus runs about every 30 minutes. The bus will be going to S' Arenal and will pass the rear of the hotel. Full details in the booking information. When arriving at unsocial hours a taxi may be the only option. Popular flights being used will be listed.